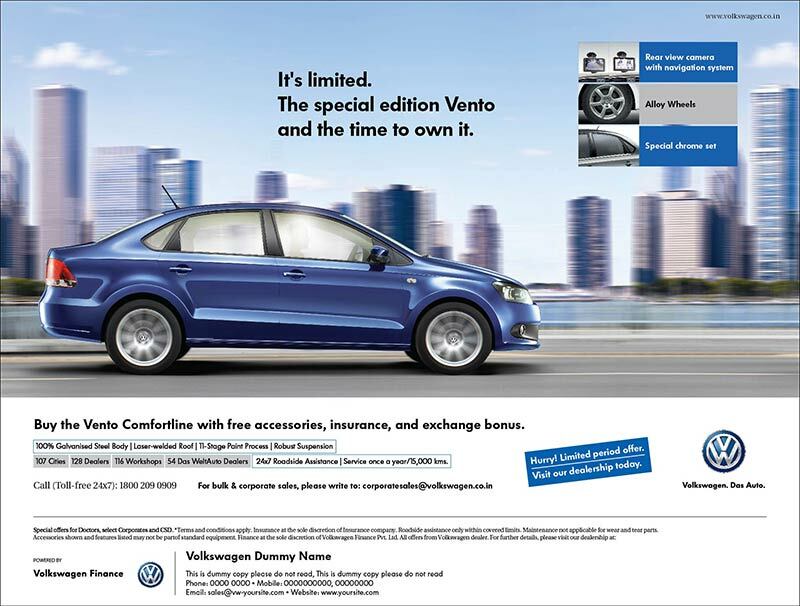 VOLKSWAGEN VENTO COMFORTLINE GETS SPECIAL. Continuing the art of tactful storytelling, Collateral enhanced its style with the “Vento Comfortline” ad campaign. The task was to design a tactical yet creative campaign, which communicated the core message of ‘Vento Comfortline’ now available with free accessories of the Vento Highline (the message was subtly underlined), insurance and exchange bonus for a limited period. The print ads conveyed the urgency to avail the car with limited schemes and appealed customers to take quick action. Web Traffic Wars: What’s better SEO or Social Media Marketing? Watch Out for these Social Media Marketing Platforms in 2019. Digital Marketing Tips for the Voice Search Revolution! Let's create a story together! Stories take people through journeys. Stories build relationships for a lifetime. Sometimes, it is your first story of the day with the morning newspaper. Sometimes, stories entertain you when stuck in traffic. Sometimes, some stories come alive when you enjoy the daily soaps, while some stories follow you wherever you go.